Psoriatic arthritis is a painful condition that affects the joints. For most individuals, psoriatic arthritis appears years after psoriasis. Symptoms of psoriatic arthritis come and go, but it is a lifelong condition that may cause severe damage to the joints. Joint changes and deformity are often found in people with psoriatic arthritis. Let your dermatologist know if you have psoriasis and any of these symptoms: swollen fingers or toes, nails that are pitted, swollen and tender joints, heel pain, lower back pain, stiffness when you sit for hours or wake up, stiffness that fades as you move, or nail separation from the nail bed. If you have psoriatic arthritis, it is important to pay close attention to your joints. Psoriatic arthritis often begins with swollen joints. An early diagnosis and proper treatment will help reduce the effects of arthritis. Physicians still haven't identified all causes of psoriatic arthritis. Medical researchers know psoriatic arthritis is an autoimmune disorder. When a person has an autoimmune disorder, the body attacks itself, acting as if it is a foreign object. With psoriatic arthritis, the body mistakes tendons and joints as foreign. Below are the main factors known to contribute to the development of psoriatic arthritis. Genetics - Many people with psoriatic arthritis have a genetic tendency toward the condition. If you have a family history of psoriatic arthritis, you are more likely to develop this type of arthritis than someone who doesn't have a genetic predisposition to the condition. Environment - Presumably some environmental factors can cause psoriatic arthritis in a person who is genetically susceptible to the condition. It's possible that a joint injury may lead to psoriatic arthritis in some individuals who are at high risk. There's been some speculation that a bacterial infection, such as streptococcal bacteria, might be a contributing factor to psoriatic arthritis. Immune Factors - It is believed that psoriatic arthritis can be caused by an abnormal interaction between the joints and the immune system. Individuals with psoriatic arthritis show an overactive immune system with an increased level of inflammatory markers, particularly tumor necrosis factor, and increased antibodies and infection-fighting cells. Psoriatic arthritis is treated with physical therapy, medicine, and arthritis-friendly exercise. A few medications can prevent this condition from worsening and damaging the joints, although some patients do not need this medicine. 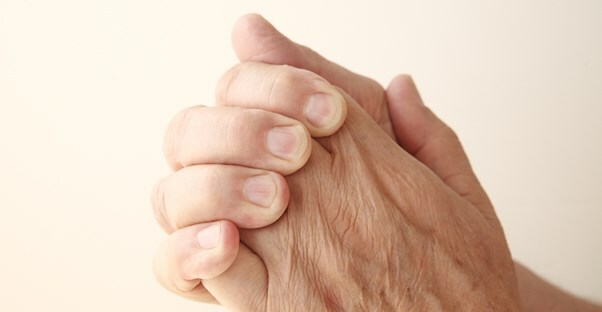 Psoriatic arthritis is usually a lifelong medical problem that can come and go unpredictably. For people with psoriatic arthritis, winter weather usually causes a flare-up.